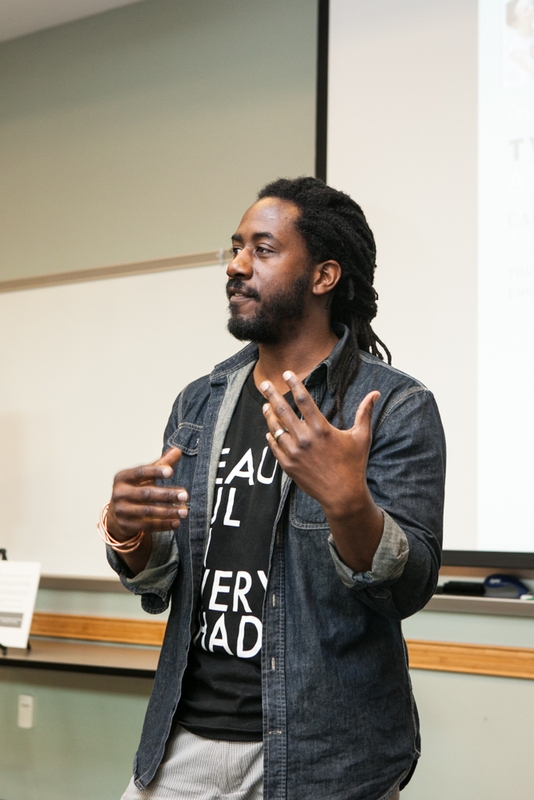 As an intern for Carlton Mackey, Ethics & the Arts Director at the Emory Center for Ethics and co-creator of Typical American Families, I am incredibly fortunate to have the opportunity be part of the process in which he creates inspiring exhibits that bring social justice to light. 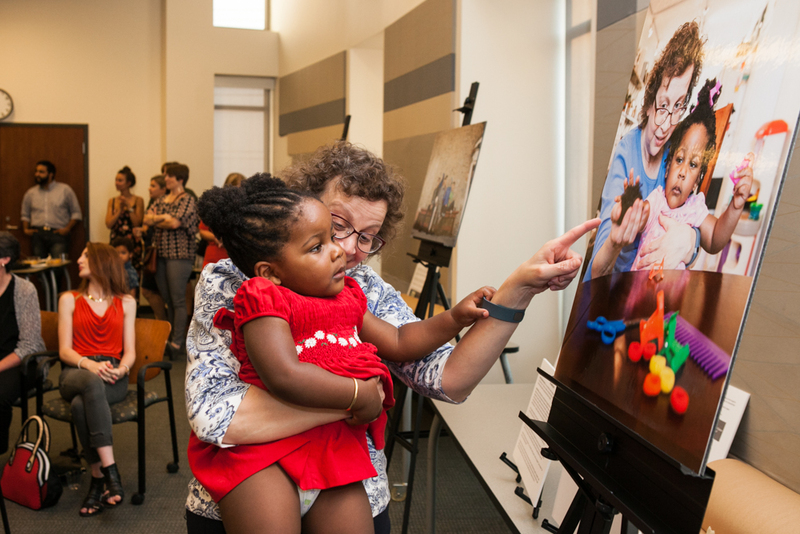 However, last month, I was able to accompany Mackey to the showing of the new Typical American Families exhibit at the Georgia State Capitol. This experience opened my eyes to the reality and immensity of the work I am part of. For this new exhibit, the Typical American Families project co-creators Carlton Mackey and Ross Oscar Knight collaborated with Feminist Women’s Health Center and Strong Families to help shift the understanding of who the families in Georgia are today and to help pass legislation these families require to thrive. As Mackey says, "through powerful visuals and storytelling, our newest photo exhibit features the ethnic, generational, and geographic diversity of both blood and chosen families from throughout Georgia to depict their lived realities." Walking into the State Capitol, I felt the weight of the pivotal decisions being made in the chambers. As we set up the display, school groups walked through asking what the exhibit was about, and within an hour, the room had grown to include employees and interns from our collaborating organizations, people visiting the capitol building, legislators, and the families featured in the exhibit. It wasn’t until speakers from the collaborating organizations, Representative Nikki Randall, and family members came up to the podium to share what the exhibit meant to them, however, did I realize how truly momentous of a movement this was. This Typical American Families exhibit was not just a project that displayed the diversity of Georgia’s families, but a message for legislators that there is no typical American family and policies must reflect the state’s diversity. By forming a partnership with Feminist Women’s Health Center, Racial Justice Action Center and SPARK Reproductive Justice, this exhibit has become a campaign that urges legislators to sign on to the Strong Families Resolution (HR 746), which highlights urgent issues affecting all families and commits legislators to doing something about them. 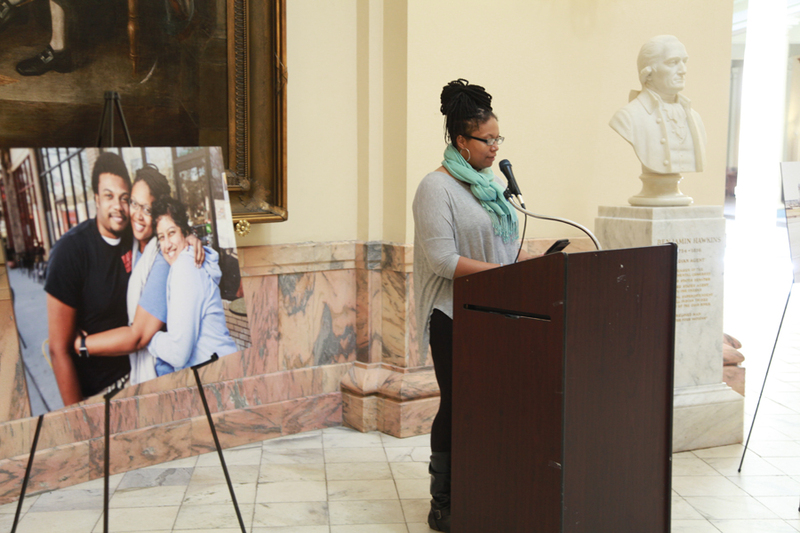 In her speech, Representative Nikki Randall affirmed that our voices matter, and that the House Resolution 746 is a reflection of this—forcing legislators to acknowledge that typical families are the thing of the past and building healthy families produces a productive state. Further, I continued to be moved as members of the families in the photographs came to the podium to share what the exhibit, and the opportunity to be part of it, meant to them. To each of these diverse families the exhibit meant something a little bit different. However, all were united in the fact that family was one of the most important aspects of their life and that the photo shoot gave them an opportunity to document their story. Speaking about their photo in the exhibit brought the Winn family to tears as they talked about how the photo shoot had reconnected Marilyn Winn with her daughter Pamela after several years. Mackey said in his speech, “Art can lead to awareness, and that’s what it happening today. Awareness can lead to advocacy, and that’s what we are here to do. Advocacy can lead to action, and that’s what we hope the lawmakers do. Action can lead to a revolution, and I want to be part of a revolution.” I took this to heart --seeing how art, within one project, had brought about changes in my personal perspective, family dynamics, and in political climate. Being at the State Capitol, listening to these speeches, surrounded by the exhibit, and immersed in a climate of advocacy, I saw that the Typical American Families project was truly urging a society on the brink of a revolution. This transformative day was something I will hold onto forever and will continue to motivate me to voice my opinions and find channels to advocate for what I believe in. THANK YOU ATLANTA! Over a period of just two weeks, 200+ Atlantans shared stories and photographs of their Typical American Families. 12 families will be chosen to receive a Free Photo Session with celebrated photographer Ross Oscar Knight, but YOU ARE ALL WINNERS. Beginning January 15, we will begin sharing the beautiful photos and stories from all of the other families representing Atlanta's amazing spectrum of family, faith, and culture! Stay Tuned!